As tensions escalate between the two nuclear neighbours, ThePrint takes a look at headlines from Pakistan in the last two days. 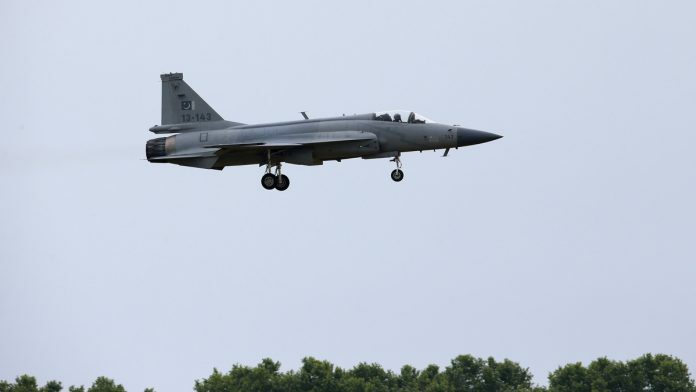 New Delhi: Morning headlines from Pakistan’s dailies had warned of possible retaliation from Pakistan for the Indian Air Force’s airstrikes against Jaish-e-Mohammed (JeM) terror camp in Balakot. That came to pass later in the day with reports of Pakistani incursions into Indian airspace and the two countries downing each other’s air force planes. This morning’s headlines from mainstream newspapers are chronicles of events foretold. “Pakistan military warns India of a big surprise,” reads a headline from the Times of Islamabad and “Be ready for our surprise!” reads one in The Nation. A few hours later, Pakistan was quick to take responsibility for the reported crash of an IAF jet crash this morning across the LoC. Initially, reports said one pilot was arrested and another killed, but now Pakistan’s news channels were showing only one alleged pilot in custody. ARY News, a Pakistani news channel, ran unverified footage of the pilot in question. At 3.15 pm, Indian foreign ministry spokesperson admitted one Indian plane had fallen and said one Indian pilot was “missing in action.” He refused to provide further details. On Tuesday’s IAF strikes, Pakistan’s media is quite clear: “No blood. No bodies. No debris. No tragedy,” writes the Express Tribune.